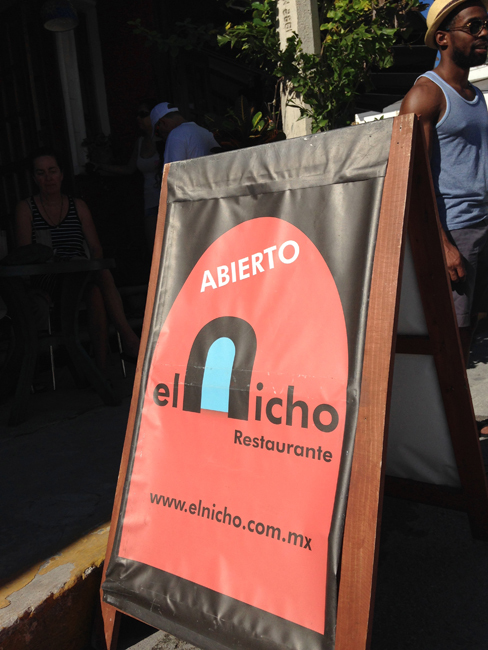 Rich Niche, Great Eats In Puerto Morelos, Mexico! 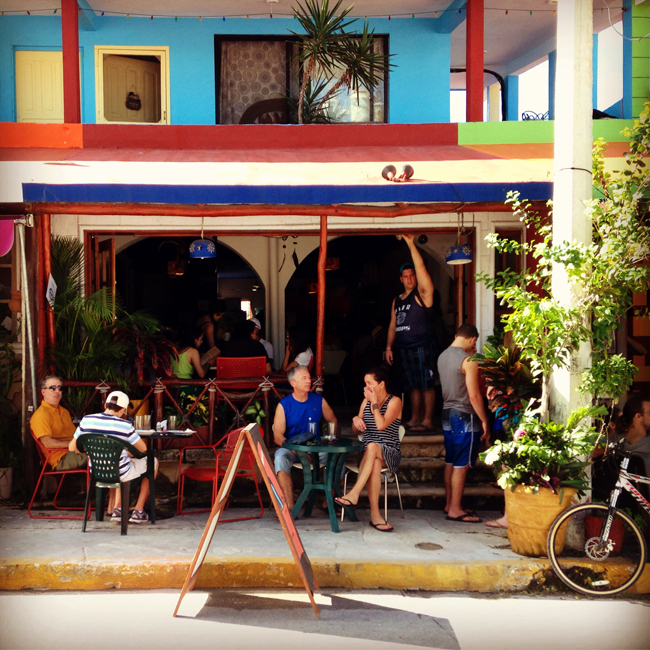 Posted by FullDISHclosure on Jan 7, 2014 in Mexican, Mexico, Puerto Morelos | Comments Off on Rich Niche, Great Eats In Puerto Morelos, Mexico! The “festive season” is meant to be a time of good cheer, but in late December chilly gray weather (and maybe exposure to Ebenezer Scrooge), left me craving a warm New Year lavish with sun, surf, golden sand, maybe even palm trees laden with coconut loot. And so, that’s how I found myself on a Mexican highway driving south from Cancun Airport to celebrate 2014 near the ancient Mayan ruins of Tulum. Along the way, my family and I visited the lesser-known town of Puerto Morelos where a man on the street told us not to miss El Nicho. Good advice, because this tiny gem is tucked away like buried treasure; only the line of hungry patrons and a small placard mark the spot. Owner/Manager Maureen was efficiently running the show during our two visits, and we assume Owner/Chef Pablo was at the helm in the kitchen. The duo have created a vibrant, welcoming niche that obviously appeals to both locals and visitors with a small menu of healthy fare, not to mention a community board announcing drop-in yoga and other organic pursuits.